As an adult, regardless of being a man or a woman, it would be safe to say that there is at least one memory/ incident associated with the phenomenon of menstruation. If it is about coming to terms with suddenly ‘growing up’ for a girl, men tend to carry memories of coming to terms with the changing personas of women in their lives- sisters, mothers, friends. Inevitably, this physical milestone is met with cultural wisdom passed over scores of generations – regardless of the culture, religion or geography in question. Menarche brings with it a universal message of commonness and a sense of purpose. Young minds begin to ponder over the meaning(and usefulness) behind it all, triggering a new appreciation for their own bodies. ‘Menstruation across cultures‘ by Nithin Sridhar is a deep and focused work on the practices and beliefs surrounding menstruation across various cultures. 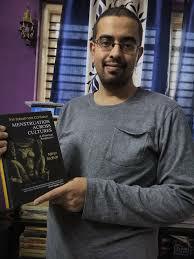 Nithin goes on to explore interpretations and practices about menstruation in several religions and cultures including Jainism, Sikhism, Islam, Christianity, Judaism – even going into documented practices around menstruation in other ancient cultures like Roman, Greece, Egypt, Mesopotamia, and other civilizations. The book delves deep into the mystery and intrigue that the female body has evoked over centuries and the underlying context that has shaped the beliefs and practices around this phenomenon across all cultures and geographies. The book opens with the Hindu View of Menstruation and goes on to explore the science and stories behind traditional menstrual practices across India. Stepping aside from the current narrative of menstruation ‘taboos,’ Nithin does a fantastic job of exploring not just native methods and cultural practices that focus on the fecundity and fertility of the female body, but also exploring the evolution of such practices through deep research. The book expansively explores the celebratory and sequestering routines and practices followed by not just our women, but also our deities and Goddesses, replete with stunning images of the idols and iconography going back several centuries, indicating how people over the centuries have integrated this beautiful phenomenon into their lives. As the book goes deeper into practices that morphed into cultural identities, it’s easy to see how the natural alignment of the female menstrual cycle with the cyclical phases of the moon served as an indicator of health for women. Or how the age-old practices surrounding menstruation are truly a result of a deep understanding of the science of Ayurveda, eliciting the importance of self-care for women, both physically and emotionally. Further, the book also dwells on how menstruating women were considered sacred for certain deeper religious practices. In an age where ‘body image’ and ‘body esteem’ are big words that elicit millions of dollars in advertising and body-altering products, the celebration of this natural phenomenon marking the transformation of the female body seems to be the most natural and no-nonsense way to uphold body-esteem. It’s common knowledge that modern schools struggle with the topic of menarche and menstruation- the most schools do is huddle girls into a room where they are shown animation movies explaining the use of sanitary pads. In stark contrast, the book pleasantly reveals the common thread that runs through India- menarche was always welcomed with a celebration within the community- a practice still prevalent among many communities across India today. The author reveals that this book idea was triggered in the face of the Sabarimala controversy. 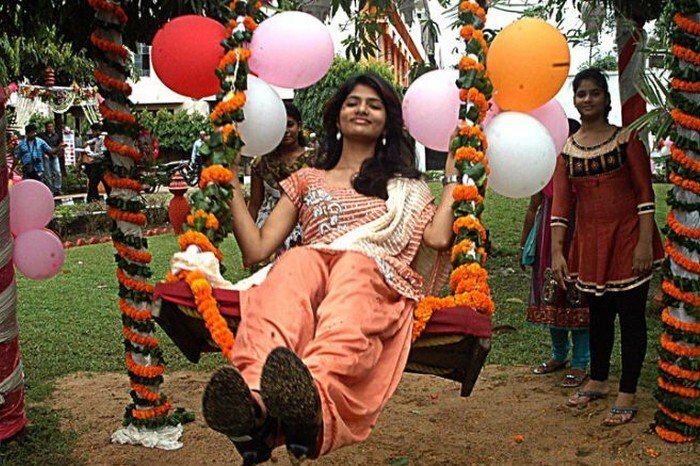 Instead of only focusing on the ideas and practices surrounding menstruation only from a one-sided perspective of Hinduism(where the controversy was centered), Nithin has remarkably set upon the task of understanding the approach to menstruation all over the world, even from a historical perspective. By stretching the canvas far beyond the few narrow focal points of controversy and criticism on one culture and people, Nithin has done a remarkable job of throwing light on the varied narratives surrounding this phenomenon, while carefully culling out the common threads running through them. Nithin’s book finds increased relevance amidst rising modern day demands for ‘period leave’, asserting that menstruation in women is indeed very deeply connected to their health and requires nurturing a relationship their own bodies which can be aided by finding deeper meaning in cultural nuances. If I have to point out one peeve with the book, it is that it tends to get repetitive. Also, the book would have gained from delving on how traditional practices have given themselves to misinterpretations over time and how traditional wisdom can find new meaning in the current context. Undoubtedly, this is an enlightening read on a topic that has remained the reason for our existence and yet been the subject of innumerable taboos interpretations and reinterpretations. While it is an indispensable read for the serious history student, I also see it covering the range for parents from being a great conversation starter to being a springboard for deeper conversations with their children, helping them place this bodily phenomenon in a more universal context and enriching their stance on the relevance of cultural identities.